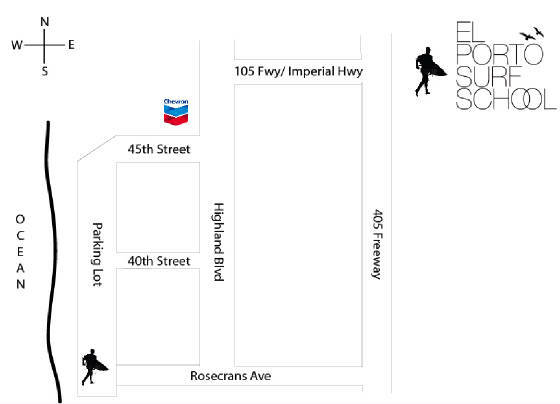 All Surf Lessons are taught at our Rosecrans location in Manhattan Beach. Detailed directions can be found below. All lessons are taught at our Rosecrans location in Manhattan Beach. Please use the map above and directions below to find us. We will be waiting for you at the CAMPSURF VAN. 1) Make your way to 45th Street and Highland in Manhattan Beach. There is a Chevron Station on the corner. 2) Drive west down 45th toward the ocean and enter the parking lot at the bottom of the hill. 3) Continue as far south as possible, making sure you pass the exit at 40th Street. 4) Toward the end of the parking lot, you will see the CAMPSURF VAN (pictured above). We will be waiting for you there.
! 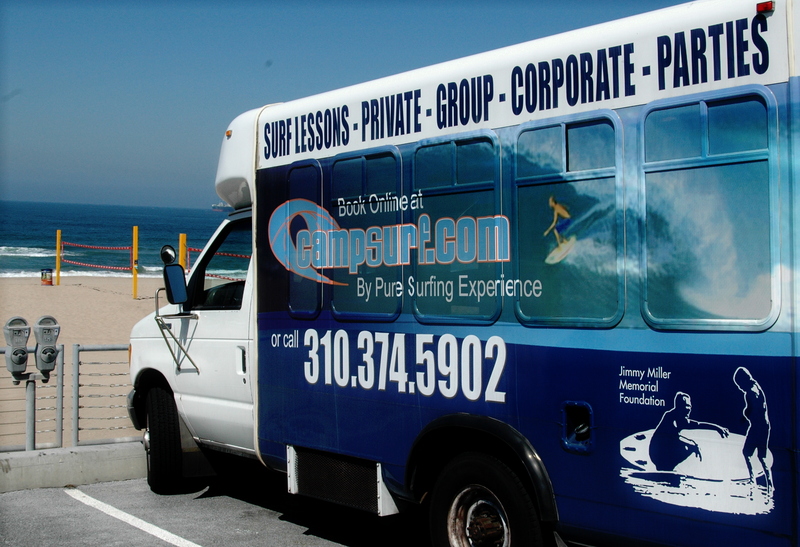 !Drive to the south end of the parking lot and look for the Campsurf Van!! Using the direction tool below will direct you to the entrance of the parking lot. Enter the Parking lot then refer to #3 above.